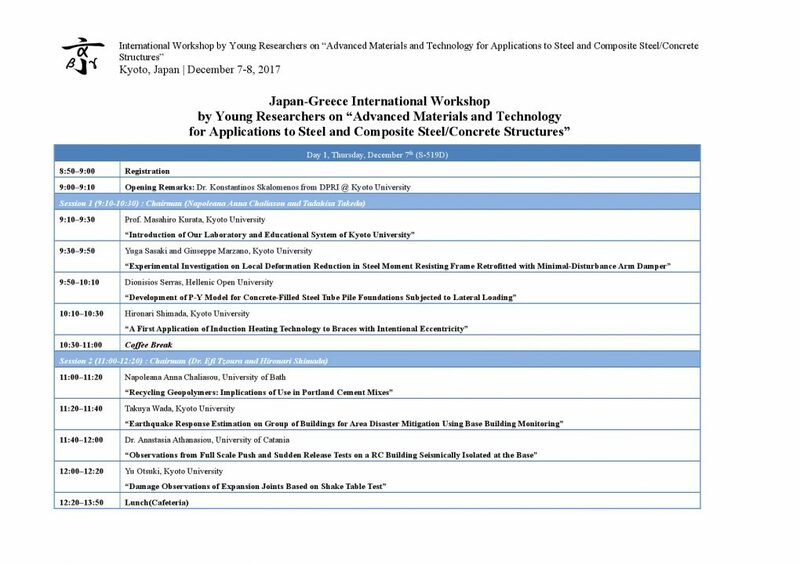 The program is ready for “Japan-Greece International Workshop for Young Researchers on Advanced Materials and Technologies for Applications to Steel and Composite Steel / Concrete Structures” on December 7th & 8th, 2017, at DPRI, Kyoto University. Please check the program next. Program We welcome any visitors. 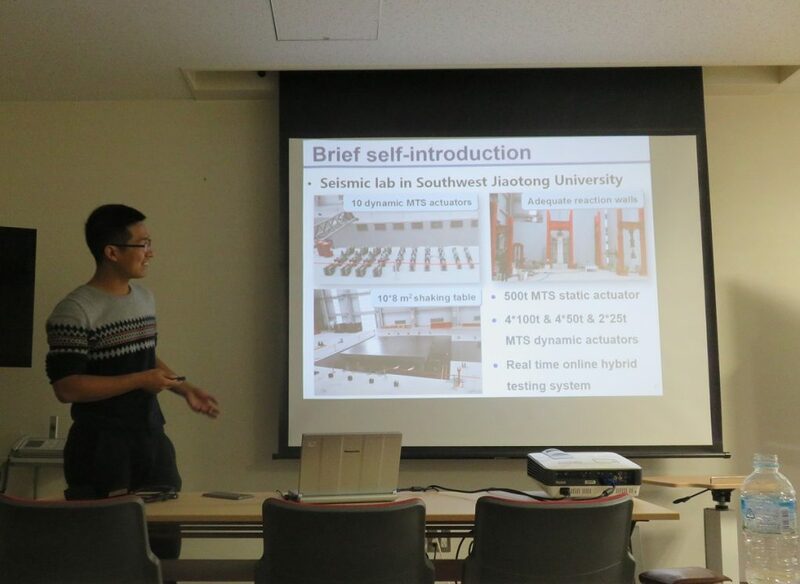 Prof. Deng from Southwest Jiaotong University in China jointed our laboratory as a JSPS Foreign Researcher.